Welcome to the Concours Owners Group (COG). 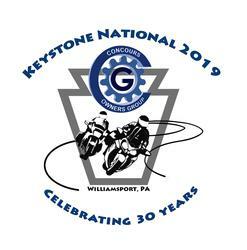 Concours Owners Group provides everyone, members, potential members and visitors, information about our organization, rides, rallies, activities, camaraderie, and technical support for Kawasaki's premiere sport touring machines - the classic Kawasaki Concours/GTR and Kawasaki/GTR Concours 14. Find out more about the club history on the "About Us" page. COG’s proprietary C10 technical compendium "Best of Chalkdust"
Each year our members volunteer to organize and run group rides, social activities, wrenching sessions, and regional rallies in their local area, as well as our gala annual National Rally that is held in some of the best motorcycle riding locations across the USA.